Skip the drive-through and save money at our hotel’s complimentary, hot breakfast. 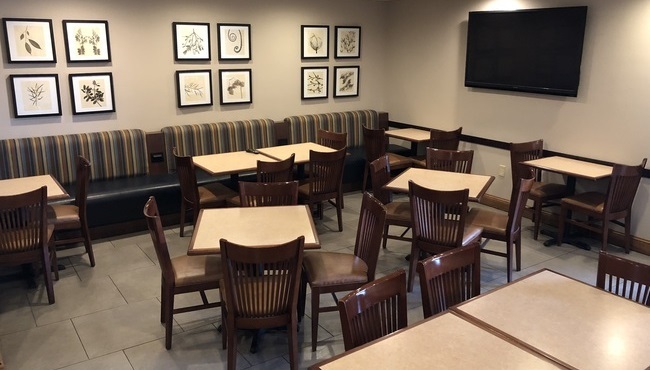 The Country Inn & Suites, Rapid City offers something for every member of your group, from biscuits with gravy to bagels, fresh fruit and make-your-own Belgian waffles. We also offer grab-and-go items like muffins and yogurt if you’ve planned an early trip to Mount Rushmore. For lunch and dinner, try nearby restaurants like Independent Ale House and Botticelli Ristorante Italiano.